For more than 18 years, Return Path has evolved along with the email industry, creating new solutions and helping our clients solve their biggest email problems. Over that time, we’ve accomplished a lot—but we’re not through yet. We continue to evolve, with every new innovation and product offering. We’re constantly rethinking email, looking for new ways to leverage our unique set of data to create better solutions for our clients. Today I am excited to introduce EmailDNA. At the foundation of every Return Path product and solution, you’ll find unrivaled data, sophisticated analysis, and constant innovation. We refer to this unique blend of fundamental elements as EmailDNA. Return Path uses the industry’s most comprehensive set of email data, along with our advanced analytics capabilities, to solve real world marketing problems—from the most common to the most complex. Our best-in-class data team pushes the envelope of artificial intelligence, machine learning, and advanced analytics to create solutions that harness the power of our unrivaled data set. The result: email marketing products that go beyond monitoring to provide actionable solutions. With inputs from more than 80 mailbox and security providers representing 3.5 billion email accounts, EmailDNA brings together the world’s most comprehensive source of data from the email ecosystem to solve marketing problems in unique, innovative ways. With EmailDNA, we’re turning email data into email solutions. If you are in New York area, join us on September 20 at our headquarters to celebrate EmailDNA and explore how artificial intelligence is positioned to change the email marketing game. The event includes a discussion of the role of data analytics play in email marketing and how artificial intelligence will impact the future of email, with special guest speaker Paul Roetzer, creator of the Marketing Artificial Intelligence Institute. EmailDNA is powered by our unique, comprehensive data set—but Return Path’s data is only part of the story. To put our own evolution in the context of larger world events, we created a new infographic, A History of Data Analytics at Return Path. Daniel Incandela joined Return Path in January 2015 and currently serves as Chief Marketing Officer. As the head of Return Path’s marketing organization, Daniel’s vision shapes the direction of global marketing efforts, providing leadership and innovative strategy to drive the business forward. 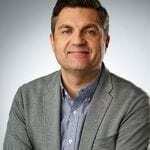 Prior to Return Path, Daniel held marketing and digital leadership roles at Salesforce Marketing Cloud (formerly ExactTarget), Indianapolis Motor Speedway, and the Indianapolis Museum of Art. In each of these positions, he reinvented the organization’s approach to marketing and established new standards for digital marketing excellence.